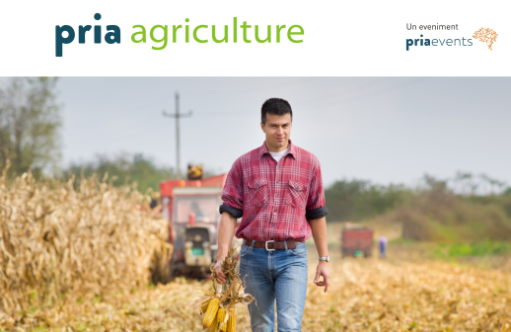 Romanian Farmers from Transilvania will be awarded during PRIA Agriculture Conference & Gala PRIA Romanian Farmers that will take palce on May 8th 2019, at Grand Hotel Napoca, room Viena, starting wit 9.30. PRIA Agriculture Conference & Gala PRIA Romanian Farmers from Transilvania is one of the most important events for agriculture and represents a real platform of debate between farmers, associations, central and local authorities. During PRIA – Romanian Farmers Awards Gala, we will recognize the efforts and the contribution of Romanian farmers who have invested financial resources, hard work and experience over time, contributed to the development or maintenance of Romanian agriculture to have a good place in the EU. We will recognize the efforts and the contribution of the Romanian farmers that invested Romanian capital, time, labor, knowledge and energy to Romanian agriculture – crucial engine of the Romanian economy. We will also recognize the merits of researchers and those who have helped maintain our agriculture. Agriculture is vital for the whole world. EU allocates a big budget and a special attention for this sector. This is why the Common Agricultural Politics consolidates the competitiveness and sustainability for the agriculture in EU by granting direct payments of farmers, market measures and financing programs for the development of rural areas in the Union.